It is true that you are good at what you do often. 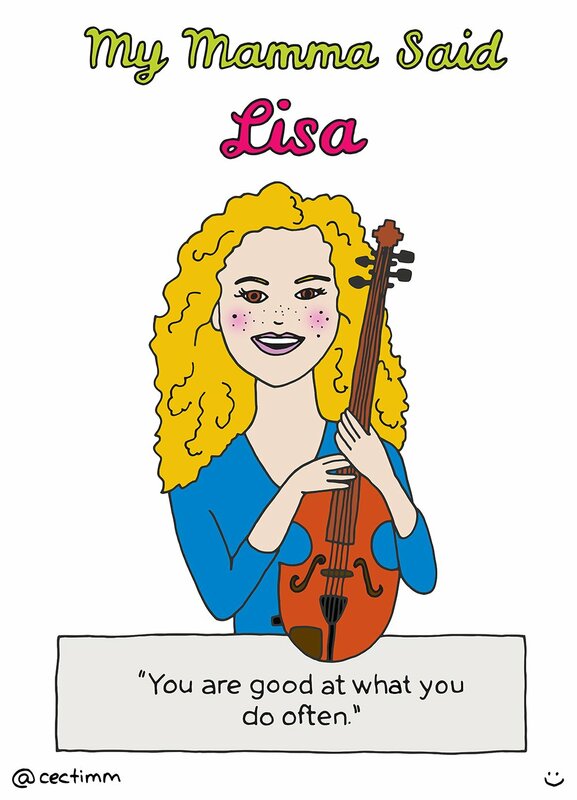 Friends will tell me they wish they could draw and I always ask “well, do you draw every day?” Lisa is a very talented illustrator as well as being an accomplished violinist. So the moral of this story is, do stuff you want to be good at… eventually you should become ‘good’ at it. The idea for this project came about after an unusual discussion I had at a party with a very open minded and outspoken french woman. She shared with me a very personal piece of advice her mother gave her… she said it was the best advice her mother had given her. I am not sure if I will ever be comfortable publishing her advice as it is sooooo explicit! It did shock me, stick in my mind and give me the inspiration for this project 😛 Merci beaucoup. Feel free to share on social media (please link back to my site).